The desire to live a more sustainable lifestyle has been boosted in recent years by media coverage of climate disasters as well as campaigns on the benefits of reducing plastic use, eating local, organic foods and reducing our carbon footprint. As a result, consumers are increasingly aware of how their choices threaten the future of the planet and this is influencing the products being offered. Moreover, socially minded individuals are looking beyond these motivations and seeking retail investment opportunities that won’t just deliver a potential financial return, but that can have a positive impact locally, and even globally. They want to know that their money is being invested ethically, in projects that actively support initiatives such as the UN’s Sustainable Development Goals. ‘Impact Investing’ is no longer aimed solely at experienced investors or institutions with large portfolios; new opportunities are opening up for eligible socially-motivated investors to make a positive impact with their money. In October last year, Energise Africa, a partner initiative between Ethex and Lendahand, launched to offer UK investors an opportunity to invest in solar companies that install life-changing solar systems in homes in sub-Saharan Africa. UN Global Goal number 7 is “access to affordable, reliable, sustainable and modern energy for all”. Unfortunately, based on current trends, it will take until 2080 to achieve this – 50 years past the deadline. This is where investing in solar installations in Africa can have a big impact. Currently around 130 million households there have no access to mains electricity. But sunlight is plentiful, and solar home systems can bring a reliable source of energy. The Energise Africa model is designed to make it easier for eligible retail investors to browse available African solar projects and see clear social and environmental benefits as well as the potential of financial return. One of the pioneering businesses funded through Energise Africa investors is SolarNow. SolarNow has been transforming the lives of East Africans by providing rural families with access to quality, affordable and sustainable solar energy since 2011. Patience is a young, female business owner in rural Uganda recently had solar installed by SolarNow. She runs a small local store that provides her with income to look after her young family. Before she had solar installed in her shop, Patience was constantly worried about power cuts from her unreliable electricity generator, and she found the cost of running this restrictive to her business. If she was unable to pay the bill, there would be no energy. Since getting solar, she has installed fridges in the store, meaning she can sell cold drinks and refrigerated food to her customers, without the worry of high bills or power cuts. 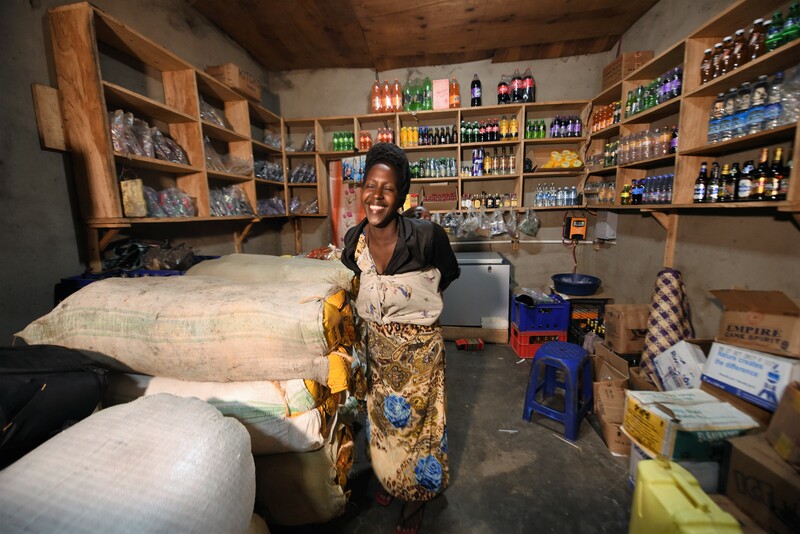 Since getting solar, Patience’s shop’s popularity has greatly increased, and her customer numbers multiplied, meaning higher profits for her and increased opportunities for future trade. Since its launch, Energise Africa has seen every bond offer close early, each having reached full funding. The high demand for these products is a testament to people’s appetite to want to make an impact with their personal finance. With a £50 minimum investment and choice of projects to invest in, the flexibility of this product means it should be easier for retail investors to access. Capital is at risk and returns are not guaranteed. Investing on Lendahand.co.uk involves risk, including the loss of all of your capital, illiquidity (the inability to sell assets quickly or without substantial loss in value), and it should be done only as part of a diversified portfolio. Investments are not protected under the Financial Services Compensation Scheme (FSCS). Please read the full risk warning on Lendahand.co.uk before deciding to invest. Click here to view the projects available for investment on Lendahand Ethex.